China’s decision to ban the import of recyclable plastics and paper from developed countries has sent shockwaves around the world and the reverberation is being felt in Spain, where government policymakers are scrambling to come up with a plan to deal with an estimated 138,000 tonnes of plastic waste previously exported to China for recycling annually. China’s ban on the importation of “foreign garbage” that took effect as of 1st January means that governments worldwide will now have to address what to do with their share of the approximately 50 percent of the world’s plastic that previously had been sent to China for conversion into resin for re-manufacture of of everything from plastic bottles to pipes. According to the Federación Española para la Recuperación y el Reciclaje (Spanish Federation for Recovery and Recycling), Spain sent China more than a million tonnes of waste in 2017, with 138,000 tonnes of the total (13 percent) comprised of recyclable plastics. With the Chinese ban now in place, Spain must figure out where to put an extra 25,000-40,000 tonnes of plastics each year that will have to remain in Spain if an alternative country does not step forward to take China’s place as the global recycling dump. The problem poses particular hazards for Spain, which has been put on notice by the EU that it must clean up its act and ensure that before the year 2020 thousands of tonnes of recyclables that are currently overflowing its public landfills are properly segregated from organic waste and recycled. Spain will face stiff fines if it cannot meet EU requirements of a 50 percent recycling rate on all plastic and paper waste within the next two years. While Spain’s Environment Ministry has said it hopes the China ban will make Spanish recycling companies step up and become more efficient at recycling plastics and other waste, environmentalists complain that Spain’s overall recycling programme is not up to the task. 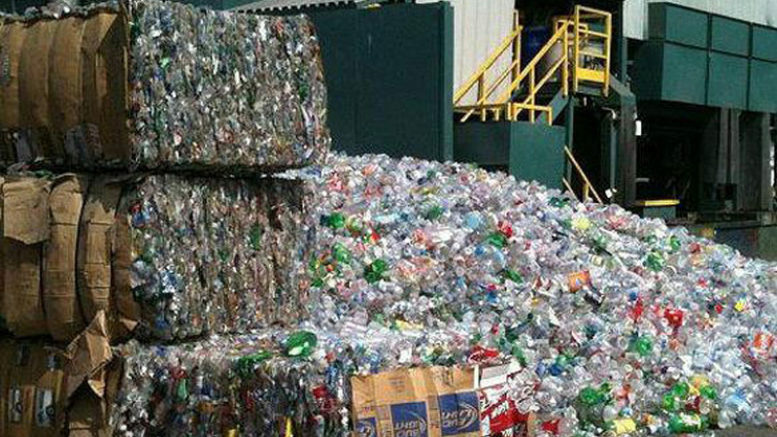 Julio Barea, a spokesman for Greenpeace Spain, says it’s time for Spain to rethink its recycling policies and suggests the government should consider re-implementing a deposit on all plastic bottles in order to discourage plastic waste and re-incentivize recycling.